Yamazaki Mazak is one of the world’s largest manufacturers of computer numerically controlled (CNC) machine tools. With a rich industrial heritage, the company has been manufacturing in the UK for nearly 30 years and now employs over 500 people. Its Worcester-based European Manufacturing Plant produces over 40 different machine types, and in excess of 1,000 units a year. 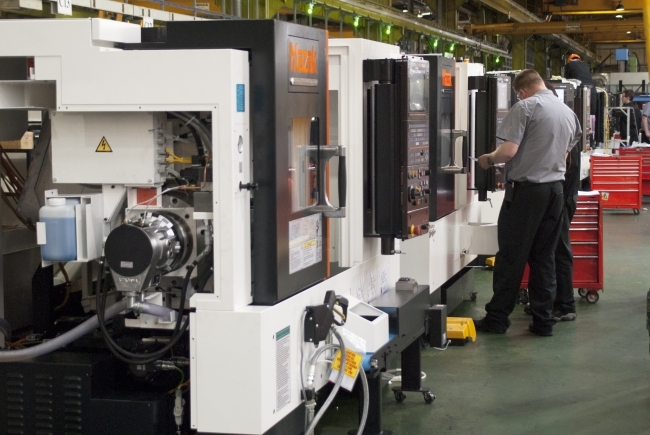 Mazak’s UK-built machines, including the 4-axis VARIAXIS j-500 and 5-axis VTC 800/30SDR, are used throughout the country, as well as Europe and beyond, across a variety of manufacturing sectors: including aerospace, automotive, energy, medical and oil and gas, as well as general subcontracting.